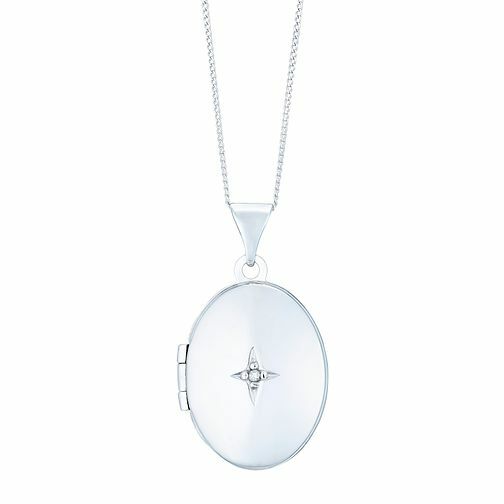 Give away your heart with this delightful 9ct white gold diamond oval locket. An ideal gift for a loved one. You can include pictures of yourself or leave it up to them what they want to put inside. 9ct White Gold Oval Diamond Locket is rated 3.0 out of 5 by 1. Rated 3 out of 5 by Anonymous from Very pretty locket This locket looks exactly as the picture. The chain itself is very thin and is more delicate than the picture, and the clasp is very small and fiddly. The back of the locket is very soft/maleable so when putting a picture into the locket, it caused a slight bend so extra care needs to be taken.